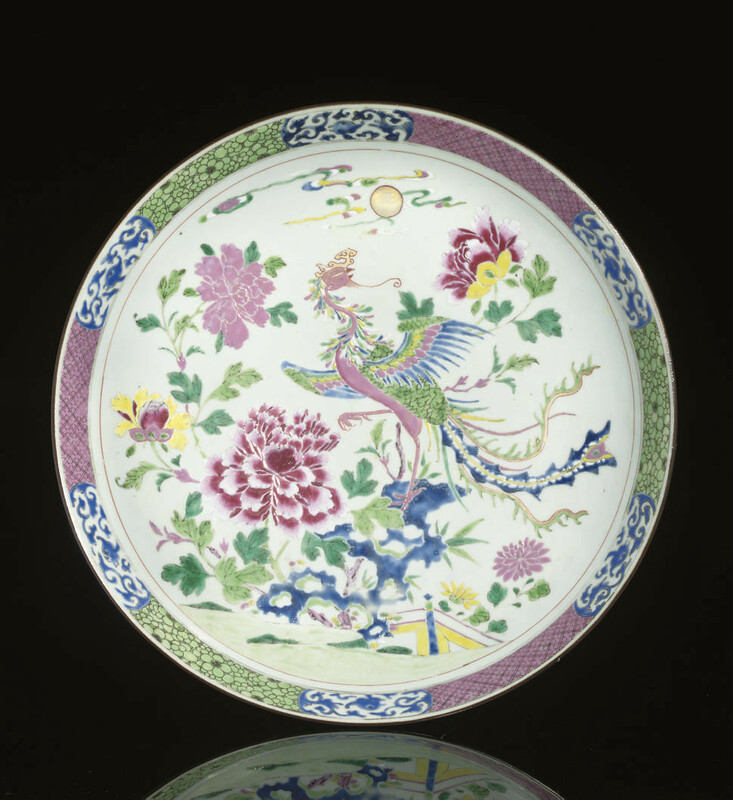 with deep rounded sides rising to the slightly flaring rim, supported on a short tapering foot, painted in the central roundel with a colourful phoenix, wings spread, standing on an ornamental rock surrounded by oversized peony sprays, staring at a gilt full moon, the rim with cartouches of a blue phoenix head among scrolling foliage, alternating with a rose hatch-pattern and a green stylised prunus blossom motif -- 15¼in. (38.8cm) diam. Purchased from Charles Nott Ltd., London, 18 July 1939 for £40.